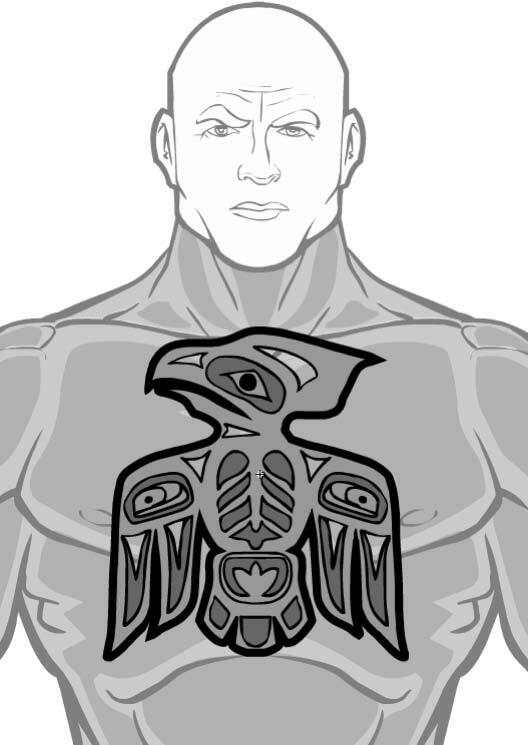 It works well either as a straight Native American style chest symbol, or if you scale it up and make it somewhat transparent, it can serve as a great body tattoo. Nice suggestion, Nate, thanks! Interesting symbol. What does it mean? Another Birdy, Looks Nice, Even Though I Probably Wont Use It. The Two Categories I’d Love To See Updated. Would Be The Already Long List Of Insignias, Would Like More Animals / Random Shapes And Objects, Many Of My Characters Were Based Off Of There Insignia, And Backgrounds I Love How Ppl Can Make Amazing Backgrounds, But It Cause A Great Deal Of Lag, I’d Love Some Different Scenerys, And Mix n Match Pieces, Also A Comicbook Mock-Up Would Be Cool. Sry Just Rambling, Sumthin To Think About Whenever You Get The Time n Back To Doing Item Sets Though. Keep Up The Great Work. Yes! Thank you! Now I can re-create my old Shadowrun characters!